A beautifully designed and fascinating book which documents in clear detail many examples of bird nesting styles, with full-colour illustrations and text describing technical details about construction means and methods, and further detail about such things as the purposes of adornment, and defence structures built into nests. Case studies illustrate the nest-building process, and the chapters are ordered around different nest types, eg Aquatic, Domed, Hanging etc. New volume summarizing the state of research into these environments, looking at their function as indicators of climate change, their biological and ecological importance, and the service provided by glacial systems as an environmental analogue for astrobiologists studying eg. the evidence of life on Mars or the moons of Jupiter. As such the material is presented in terms accessible to the environmental scientist getting to grips with the biology, and vice versa. Our weekly suggestions to help you get kitted out for conservation field work, wildlife watching, travel and photography, selected from our range of over 2,000 equipment items. 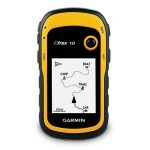 Garmin’s long awaited replacement for the eTrex H, the eTrex 10 retains the core functionality, rugged construction, affordability and long battery life that made eTrex H the most dependable GPS device available. The perfect tool for most basic GIS projects, from mapping nature reserves to geocaching. Ethically produced, with a lifetime warranty, and designed by outdoors people, the Paramo Torres Jacket provides fast block insulation and water repellency in extreme or prolonged cold and wet. Packs down small when not needed. We’ve added Paramo clothing to our unbeatable range of environmental equipment as we believe it to be the perfect choice of clothing for those who spend substantial amounts of time outside. 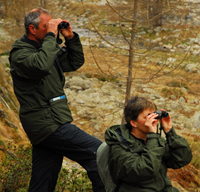 A whole host of nature professionals have already adopted Paramo for work and leisure including cameramen and sound recordists such as Mark Carwardine, Philip Lovel and Stephen Moss; wildlife enthusiasts and birdwatchers such as John Aitchison and landscape and wildlife photographers including Joe Cornish and Andy Rouse, Charlie Waite and Ben Osborne. So what makes Paramo clothing so good? Simple but very clever Paramo fabrics are designed specifically to ‘direct’ water away so you keep comfortable and dry – from reversible, next-to-the-skin, stretchy Parameta T fabric to the ultimate outer all-weather protection of Nikwax Analogy. Nikwax Analogy waterproof fabric is based on mammal fur – just as an otter or bear keeps warm and dry in the very worst of weather, the fabric structure moves water away from you and traps air to keep you warm. Removing perspiration and condensation more effectively when you’re working hard. Whatever the conditions – even in high humidity when conventional waterproofs give up. Quieter – they’re soft, supple and rustle-free. Warmer and cosier – no hard, crisp-packet feel, comfy enough to wear all day or even to sleep in! No membranes or coatings to break down over time. Indefinitely renewable with Nikwax aftercare. Repairable with a needle and thread. And the best bit – it’s even ethically produced! Paramo’s production facility was established in 1992 in Bogotá, Colombia, as part of a valuable social programme from the charitable Miquelina Foundation. The little sewing machine workshop set up by a nun has grown into an efficient garment factory, providing employment, training and practical help for ‘at risk’ women wanting to improve their lives. The factory profits are reinvested in equipment but also are able to fund a housing project, a virtual library, a kindergarten and a canteen for local children. For every Paramo jacket bought a sapling is donated to Trees for Life to help reforestation of the Caledonian forest. Available in Mens and Ladies versions. Nine pockets, including large front pockets for binoculars, camera gear, etc. Soft, quiet, waterproof Nikwax fabric. Fleece-lined collar, handwarming pockets, upper arm vents and two way zips. A cosy fleece perfect for long days in the hide. Unisex design with water-repellent outer layer. Two large chest pockets to hold maps, guidebooks, camera equipment, etc. An excellent base layer that will keep you warm and dry. Mens Pajaro Trousers: waterproof legwear comfortable enough for all day use. Unisex Torres Trousers: weatherproof trousers with excellent insulation. Ladies Cascada Trousers: waterproof legwear designed to be worn all day next to the skin. Click here to view the entire range of Paramo clothing.